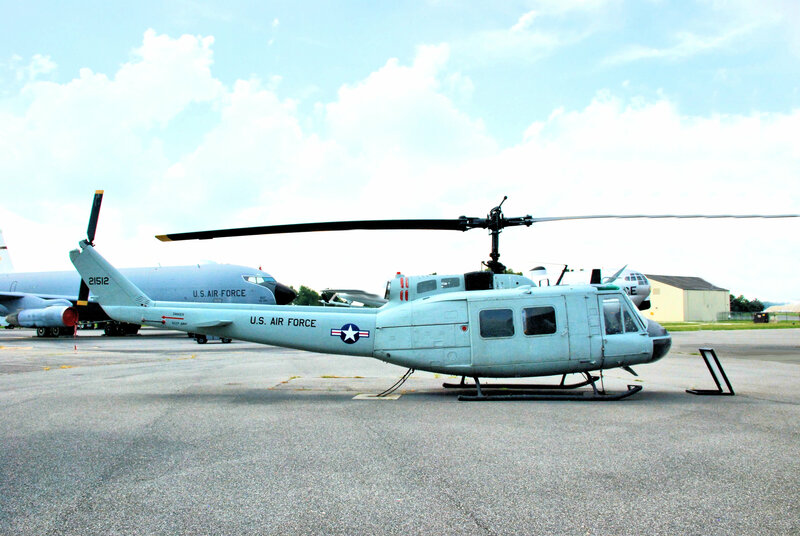 Better known as the Huey, this UH-1 Iroquois was obtained by Dover AFB for use as a load trainer. 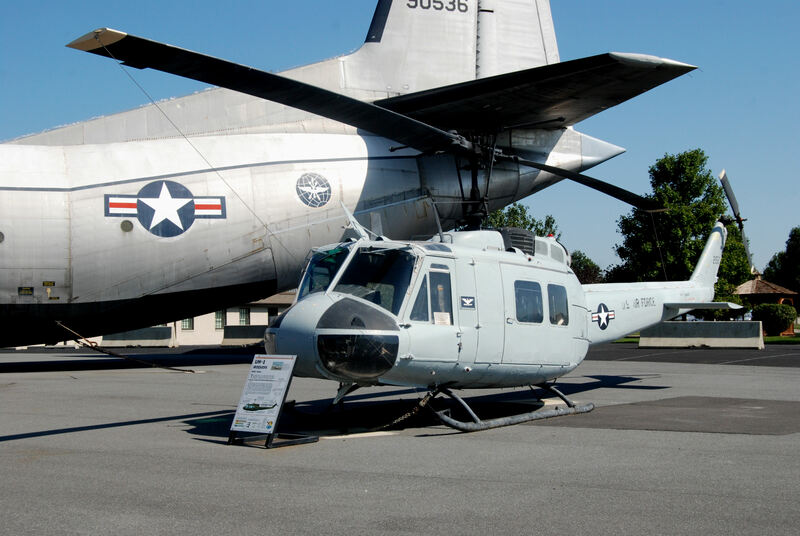 It has been repainted to represent an Air Force Huey used for medical evacuation, rescue missions and administrative support. 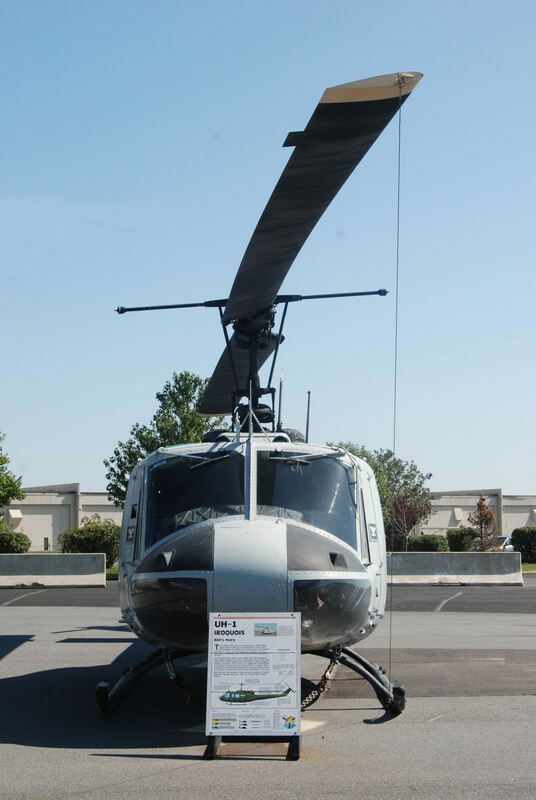 This helicopter is on display at the museum but it is not a part of the museum’s collection. 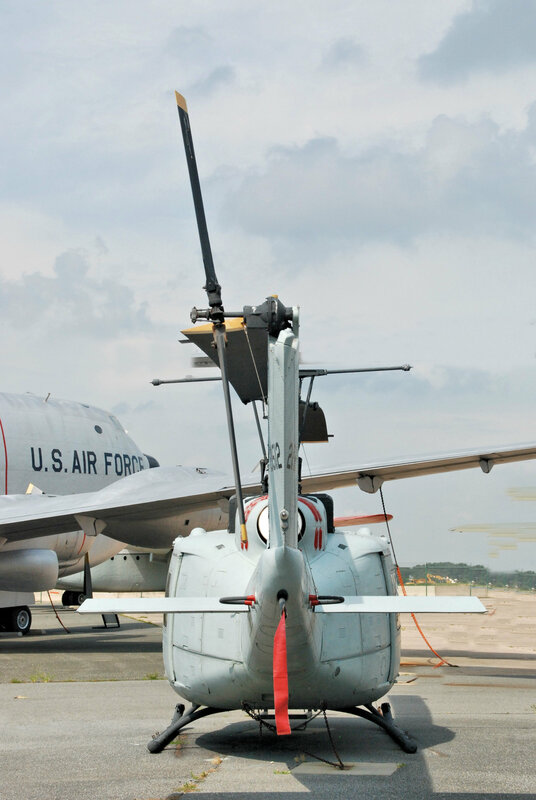 Other uses include airlift of missile support personnel, airborne cable inspections and distinguished visitor transport. 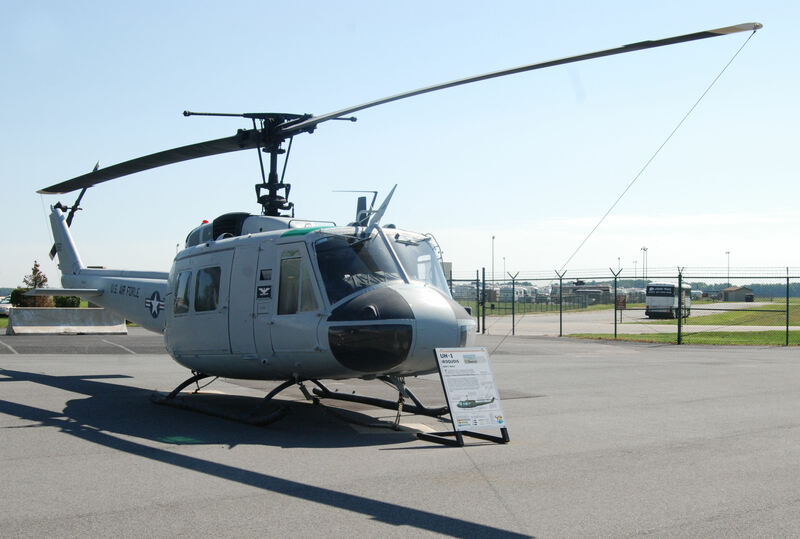 The UH-1H is capable of flight in instrument and nighttime conditions. The crew complement is normally two (pilot and co-pilot), but may be flown single-pilot depending on weather and mission requirements. The crew complement for hoist, water and navigational operations is three, adding a flight engineer. 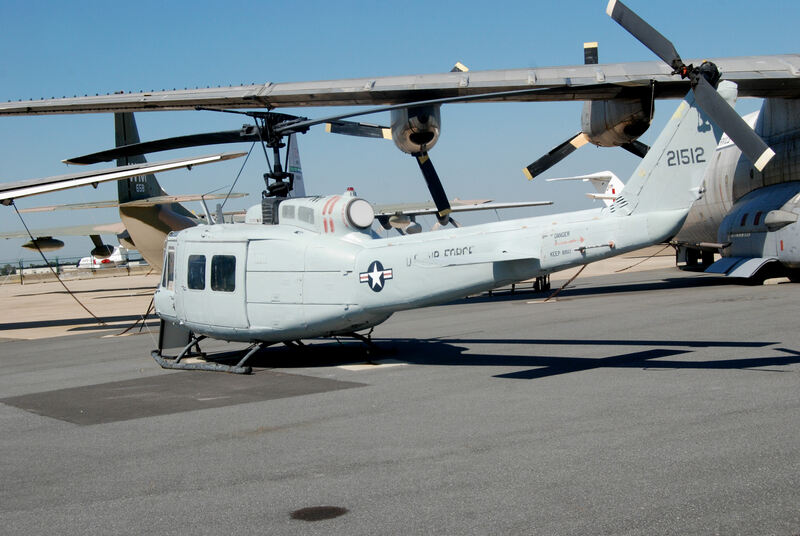 When configured for passengers, the UH-1H can seat up to 13 people, but actual passenger loads are dependent on fuel loads and atmospheric conditions (may be less). 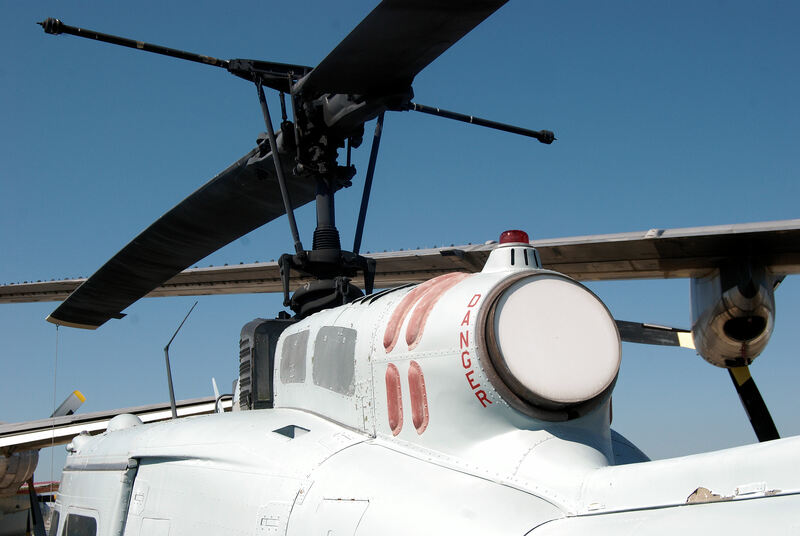 The medical evacuation configuration can accommodate up to six litters. Without seats or litters, the cabin can carry bulky, oversized cargo. Access to the cabin is through two full-sized sliding doors. 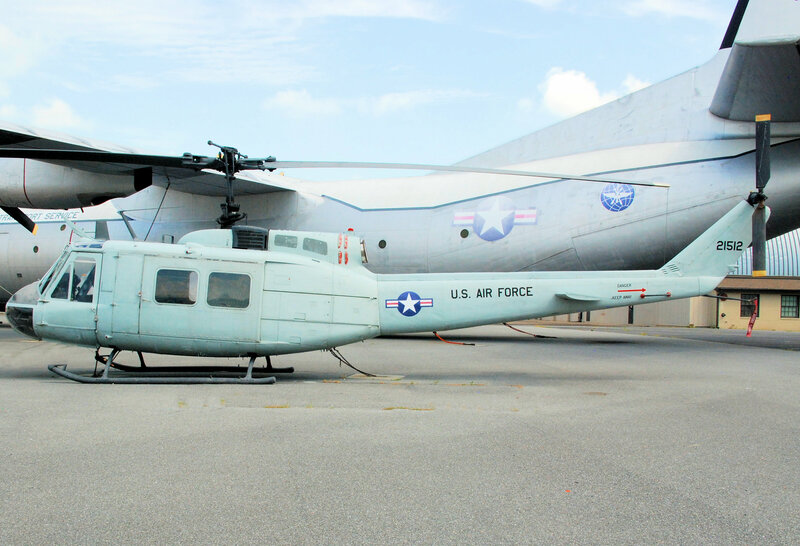 The UH-1H entered the Air Force inventory in 1970 to provide search and rescue capabilities.